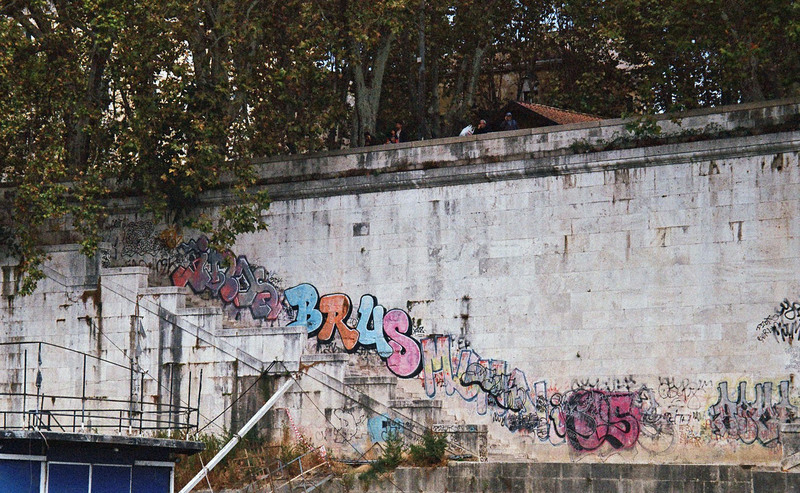 Graffiti is common in public places in European cities. 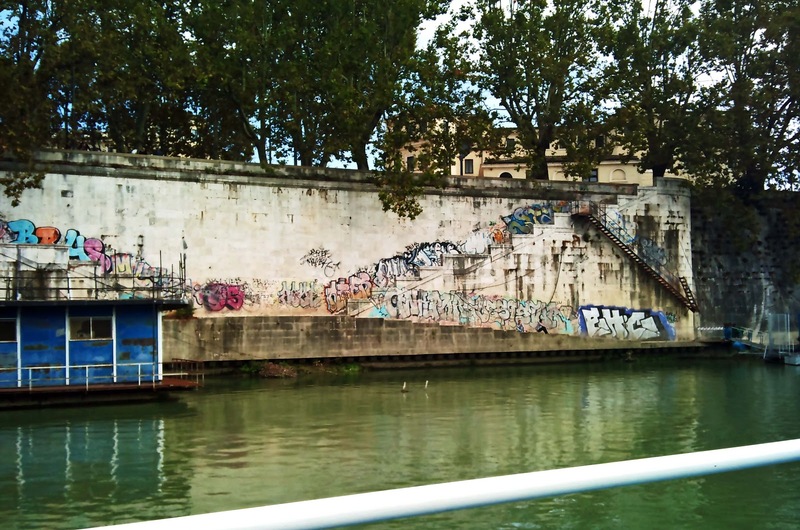 At times trains are completely covered by graffiti art. It isn't always a pretty design, but at times it doesn't look too bad. Certainly better than paan stains that we get in India! The first two photographs were taken in Rome, on the banks of the river Tiber. I increased the contrast in the image below as the graffiti appeared a trifle faded. 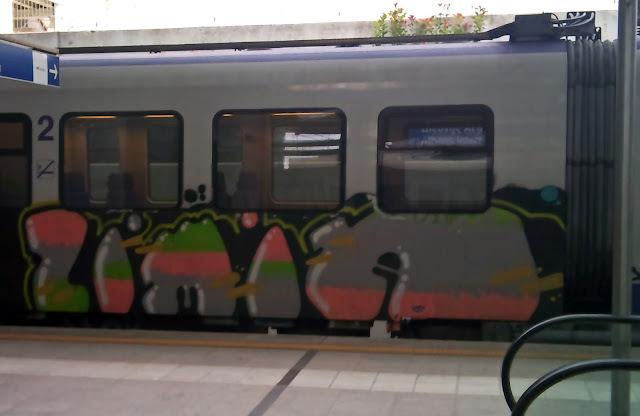 This last photograph, taken on a cell-phone is of a subway train in Athens. Not knowing the language, I could never read it and I hope that it's not offensive.